Hyacintia is out of a mare I thought I owned for a year and a half, Bertolonia. Carol and I were in Holland in April, on our way to or back from a vacation in Rome. Since no visit to Holland is complete for me without stopping for a visit with Gerard, we of course stopped to say hello and see the horses. Well, Hyacintia had been born on Easter of that year and was two days old when we saw her. Carol and I both fell in love immediately. She was ours before we left in the rental car. Well, it proved to be a good decision. 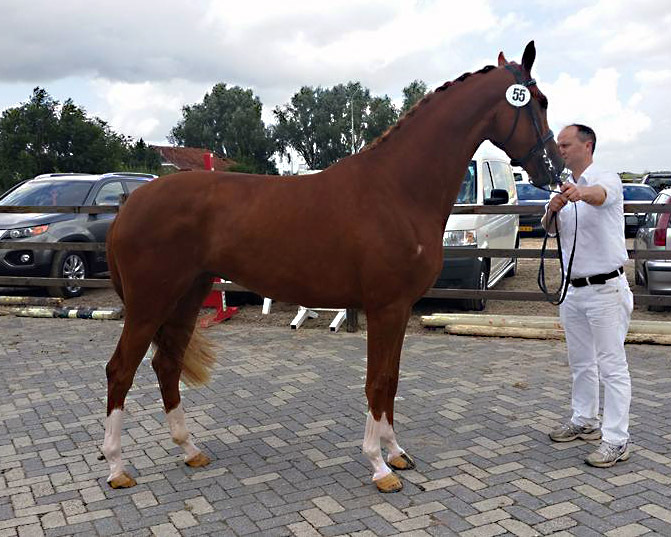 Hyacintia went on to become Champion ster mare of the Groniger region, invited to the National Mare Show, then placed fifth out of all KWPN mares in her year. Top! She also completed a successful IBOP to become a keur mare, then the radiographs to become an elite mare. 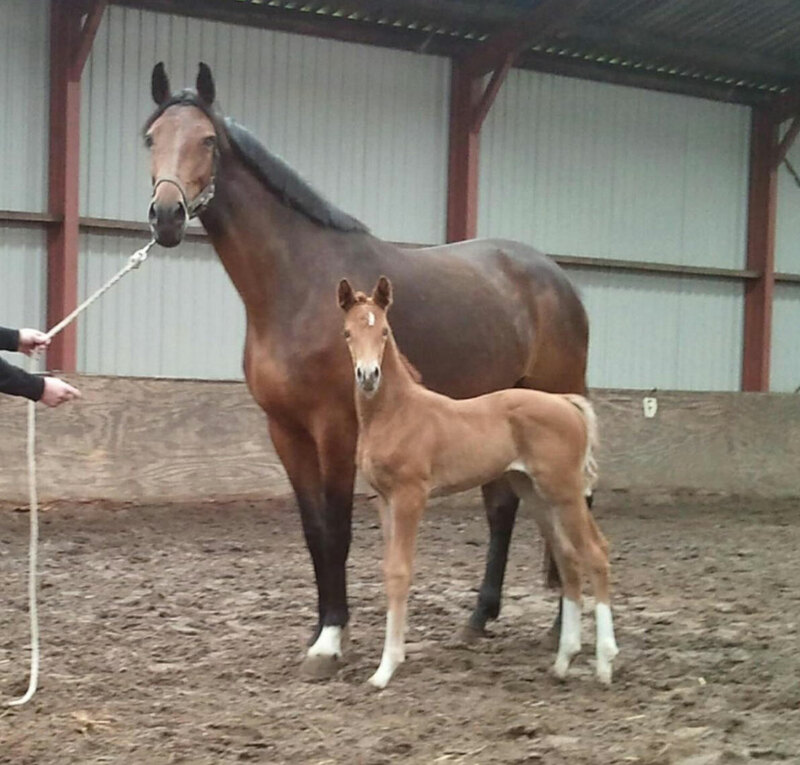 We tried unsuccessfully to breed her for two years, but last year she produced two Gaudi embryos, one of which stuck in a recipient mare, a filly – Narouche, and she had a handsome colt by Just Wimphof – Nadal SSF. Nadal SSF with Hyacintia – invited to the Central Keuring!